Have you been searching for a "flat tire repair near me"? If the answer is yes, you should consider contacting us for tire repair service and tire rotation service. Our certified technicians can inspect your car's tires thoroughly and quickly while helping you decide if you need any repairs or replacements. We understand that tire repair cost is always a factor to consider, which is why we strive to offer you a variety of discounts and tire rotation coupons. Speak to one of our professionals at our Berlin, NJ, and Meineke #174 to learn more about our tire repair services. Keeping your tires in optimal condition is important for a myriad of reasons. First of all, well-maintained tires handle better on slick and uneven surfaces. Their ability to handle these surfaces means that you and your passengers are less likely to be involved in a collision. Tires also have a significant impact on your suspension system, and if they are not rotated periodically, you may have difficulty steering your vehicle. Tires are frequently overlooked by drivers, but the better your tires perform, the better your entire vehicle will perform. Stop by our Berlin, NJ, Meineke #174 store for a comprehensive inspection today. Uneven tread heights and issues with vehicle stability at high speeds could each be a sign that you're in need of a tire repair or tire change service. However, these signs are often easy to miss. Fortunately, you vehicle will often tell you when its tires need some TLC through your in-dash tire pressure light. If and when it turns on, you should immediately stop and see which of your tires is over or underinflated. If the sensor continues to illuminate even after adding air to the tire, taking it into Meineke #174 in Berlin, NJ may help you avoid a high tire replacement cost. Be sure to check and see if you also need a tire pressure sensor replacement while you're there. Neglecting to inspect or replace your tires can be dangerous in the long-run. If your tires are worn down, you may have difficulties handling your vehicle during adverse weather. Sleet, rain, and ice can easily send a vehicle with little tread spinning. During rainstorms, your vehicle will be more susceptible to hydroplaning, and you may experience longer stopping times and distances. Both of these issues have the potential to cause severe injury to drivers and passengers. Naturally, we want to help you avoid such situations. Contact our Berlin, NJ, and Meineke #174 to schedule a professional inspection of your tires. The great thing about tires is that they usually show clear signs when they need to be replaced or serviced. Damaged side walls may be cracked and broken if the tire is old or failing. Tread on the tire may also seem noticeably low, further indicating the need for a tire repair service. In severe cases, your tires may be so damaged, you can feel or see the belts, or insides, of the tire. Wear on one side, or not enough wear along both sides of your tire also indicates a problem. If any of these happen to your vehicle, immediately contact Meineke #174 in Berlin, NJ to help you safely get back on the road. If you are in need of new wheels or tires, searching for "flat tire repair near me," may not always give you the best results. At Meineke #174 in Berlin, NJ, we are always willing to go above and beyond to ensure that our customers receive the best service for the lowest prices. We often offer tire rotation coupons and other deals to keep tire replacement cost low. 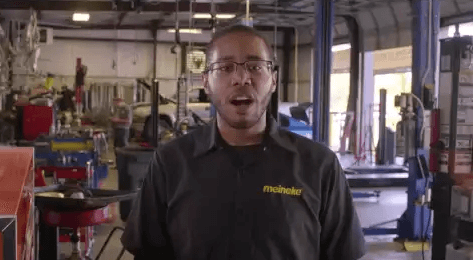 Save yourself time and money by bringing your car to Meineke #174 the first time you are in need of repairs. Our professional technicians always take pride in their work, so you can be sure you are only getting the best possible service.